Therapy Horses Need A Horse Van! Please help these little horses bring their special love where it is needed most... to patients in hospital & hospice care and families facing traumatic events. 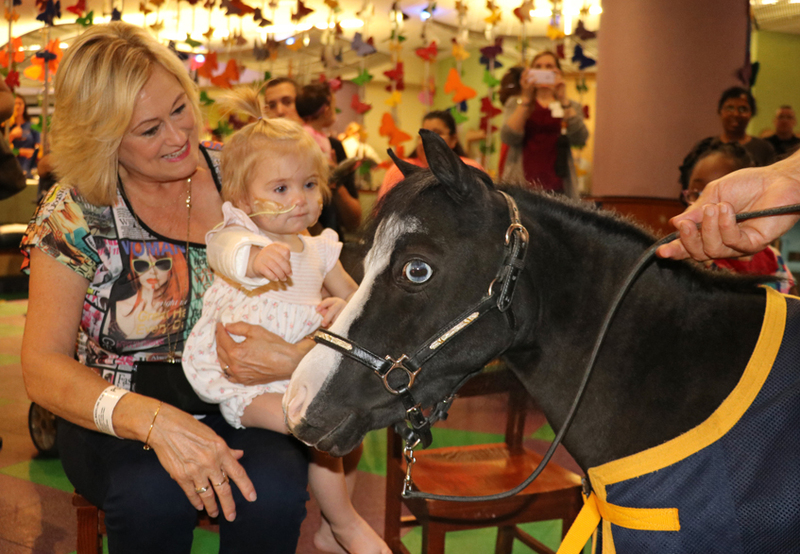 When a real horse walks into the hospital room of a sick child it is always a magical experience. 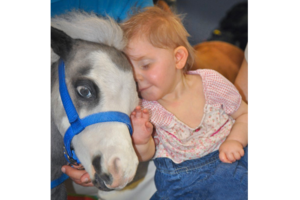 Gentle Carousel Miniature Therapy Horses is an all volunteer 501(c)(3) nonprofit charity celebrating 20 years of service. 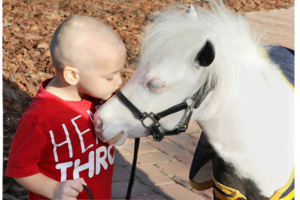 Teams of tiny horses love over 25,000 adults and children each year inside children's and veterans hospitals, hospice programs and with families who have experienced traumatic events. The horses were called in to comfort survivors and first responders of the mass shootings at Sandy Hook Elementary School in Newtown, CT, the Emanuel African Methodist Episcopal Church in Charleston, SC and the Pulse nightclub in Orlando, FL. They have also helped the tornado survivors of Moore, OK, victims of the fires in Gatlinburg, TN, families in the aftermath of Hurricane Irma and thousands of patients in children's and veterans hospitals across the country. 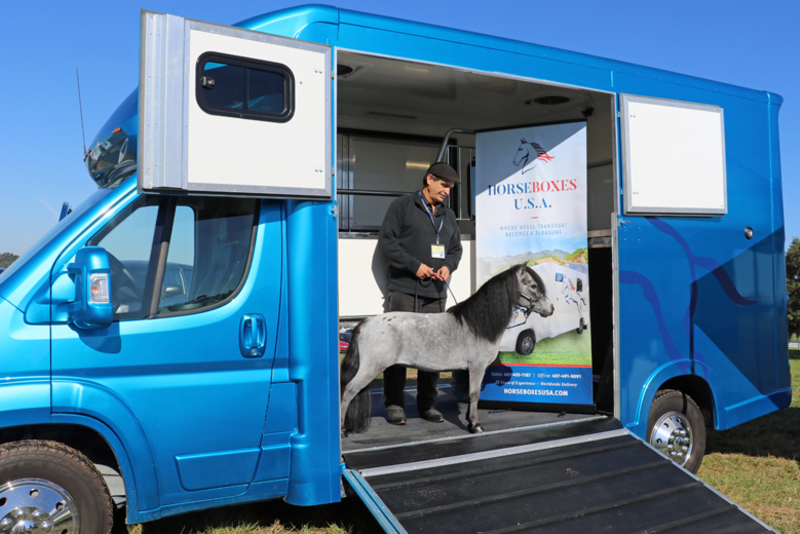 A custom horse van would make such a big difference for our charity. 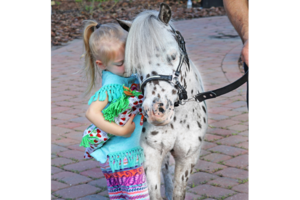 The van would provide a high level of safety and comfort when the therapy horses are traveling and help them park at locations with limited or no parking available for a truck and trailer. Often the horses have had to park far from their destinations or in the middle of busy streets in front of hospitals, home hospice visits or at natural disasters. The custom horse van can park in a regular parking space. 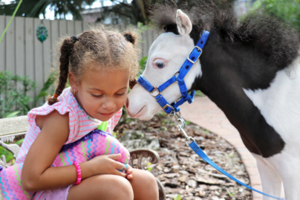 Gentle Carousel Miniature Therapy Horses ease human suffering during times of natural emergencies, violence, traumatic events, medical challenges and loss with the assistance of highly trained horses, volunteers and the generosity of donors.